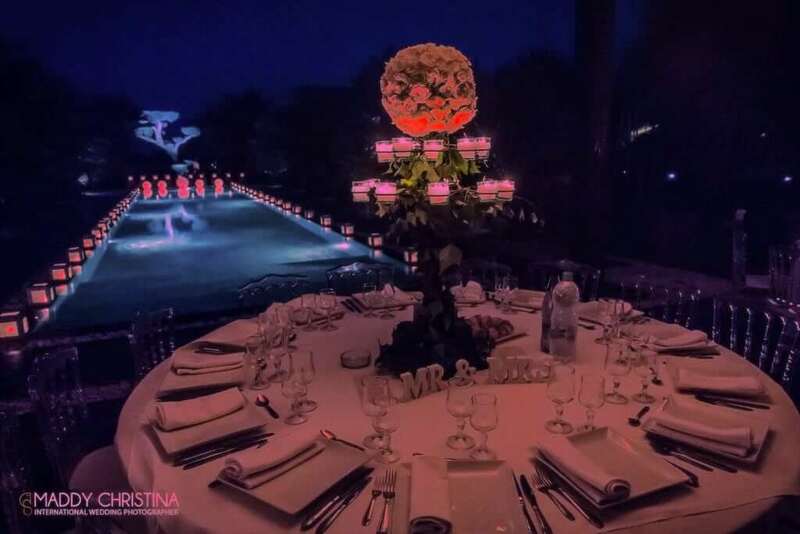 As a resumé, having your wedding in Marrakech is not enchanting, you don’t have access to the most beautiful villas for reasonable prices, outside ceremonies look like nothing, it’s more rainy than in the north of Wales, evenings are cold and so short, lights are pale, your wedding in Marrakech will be forever the worst day of your life !!!! 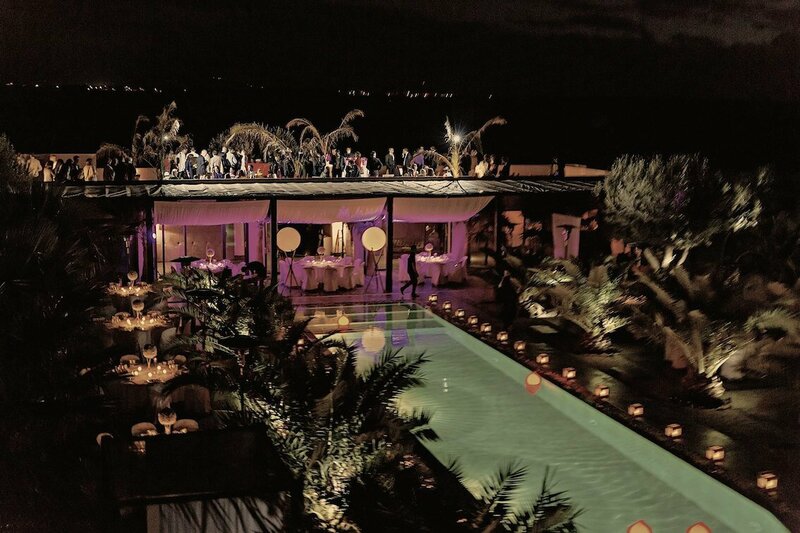 1 -Very ordinary villas for your wedding in Marrakech ! 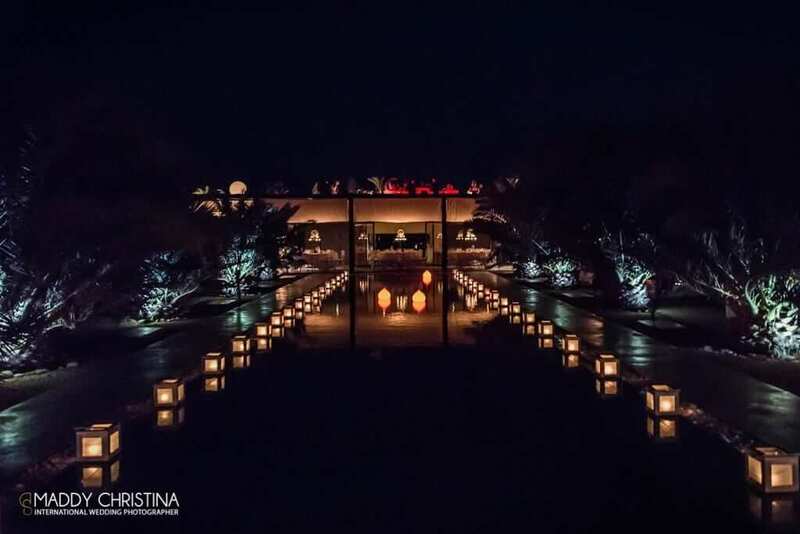 So ordinary… After your wedding dinner you take the risk to fall with your friends in a 25 meters lantern lighted pool, and see thousands of irritating stars in the sky. In Norfolk, no problem, you don’t risk anything with a pool and no stars guaranteed ! 2 – Such sad non-religious ceremonies ! 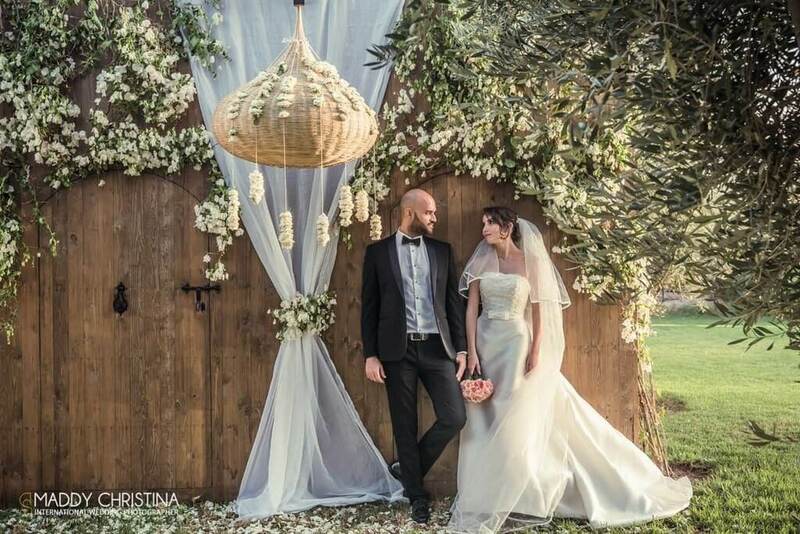 A terrible atmosphere and no emotion when your hear all your closest relatives and friends reading a text, saying few words, or why not singing a song under centennial olive trees, ceremony lead by a officiant. So embarrassing, you could be in better situation in Las Vegas with 2 Elvis doubles as witness ! 3 – Ordinary decoration, charmless…! So common to have thousands of candles, of roses, palmtrees and olive trees, you may regret Uncle George offer to have your wedding at the Blackpool community center ! 4 – Cocktails with no view ! 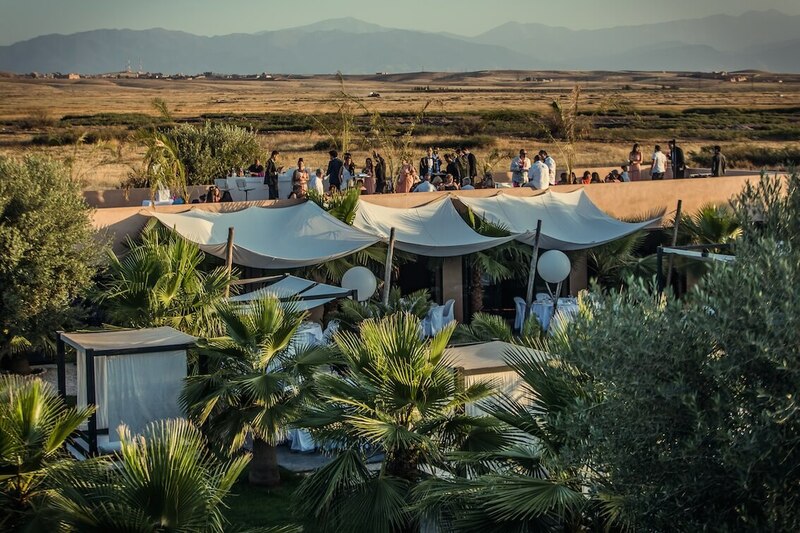 Watching a 180° view on the Atlas Mountains with a champagne coupe in your hand, you know you could have a 360° view on an inside banquet hall of a hotel instead ?!!! Oh my God Marrakech weddings are so boring ! 5 Wedding dinners and wedding parties as usual !